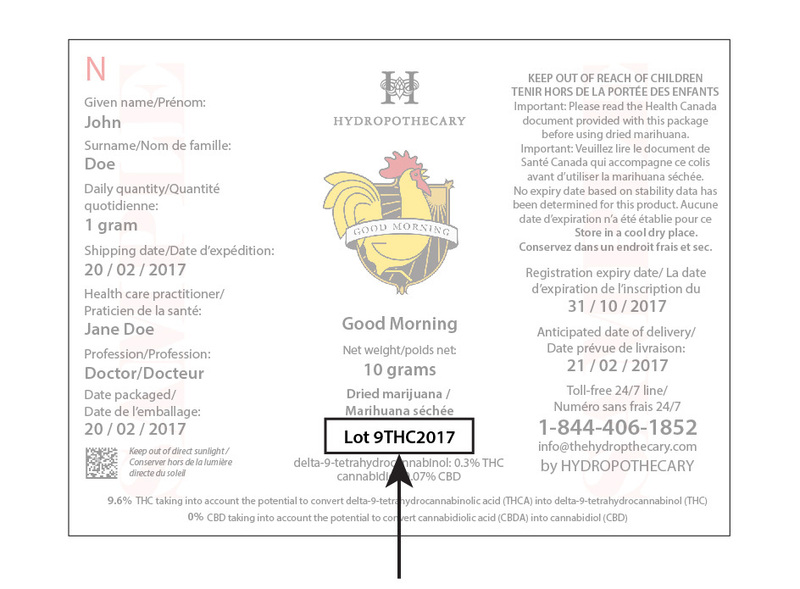 Hydropothecary has been conducting voluntary pesticide testing on all lotted products since February 2, 2017, through a certified third party laboratory. The results are posted here as part of our ongoing efforts to provide the utmost transparency. We will be adding results as they become available from our third party laboratory. 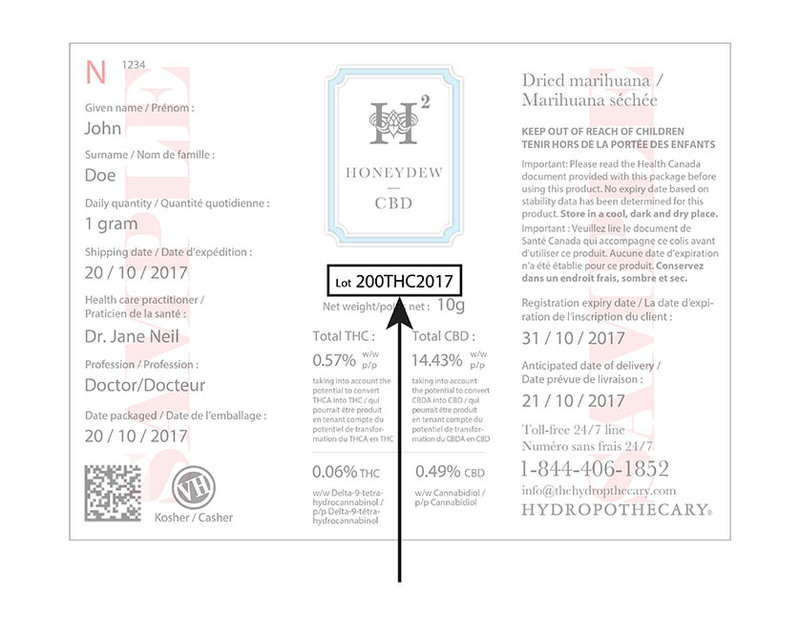 You can find the lot number here on your product label. Click on the lot number to download the Certificate of Analysis (COA). Use the search box below to help find your Certificate of Analysis. Type in the lot number in and press search.